The ultra-light and compact Frontier Filter easily fits into a day pack, waist pack or travel luggage and is ready when you need it. Carry it as a backup on a multi-day backpacking trip in case larger pump filters clog or become damaged. 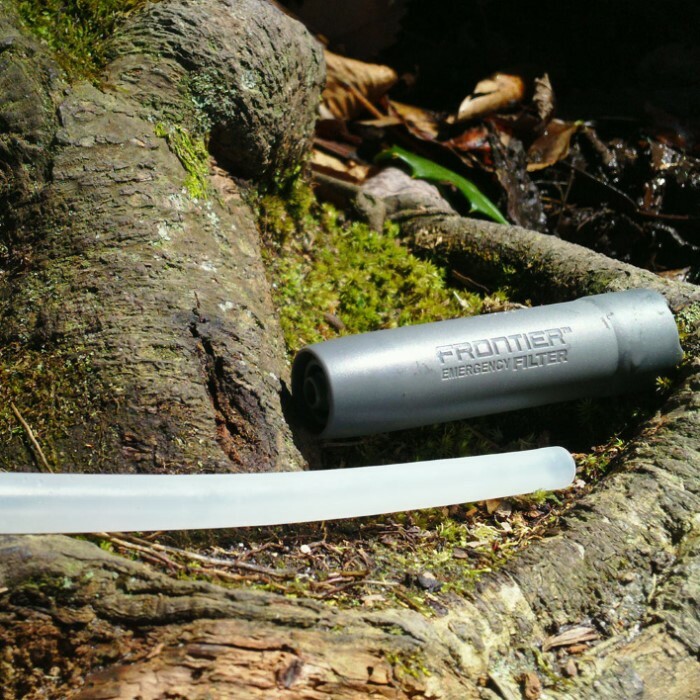 For maximum protection, the Frontier can be used in conjunction with chemical treatments. 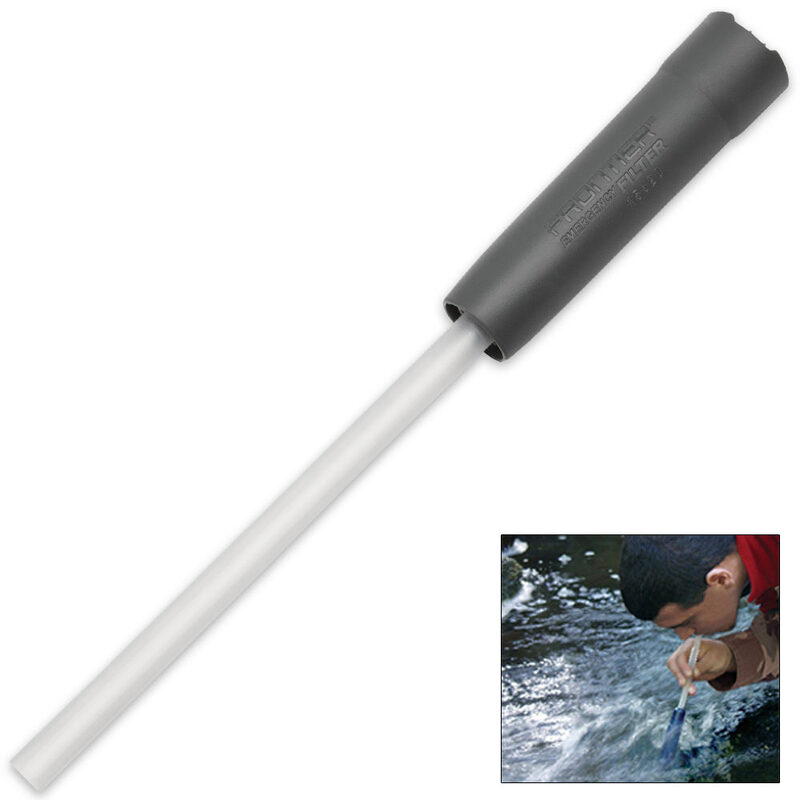 To use, simply expand the straw and attach the wide end firmly onto the filter outlet. Fill a bottle or cup from your water source, insert the filter, and drink from the straw. Do not submerge the drinking straw into contaminated water. Allow filter to air dry for 48 hours before storing. Perfect as a just-in-case backup water filter. Use to drink from any water bottle, cup, or directly from water sources. Removes 99.9 percent of pathogens down to 2 microns in size, including bacteria, giardia, and cryptosporidium. 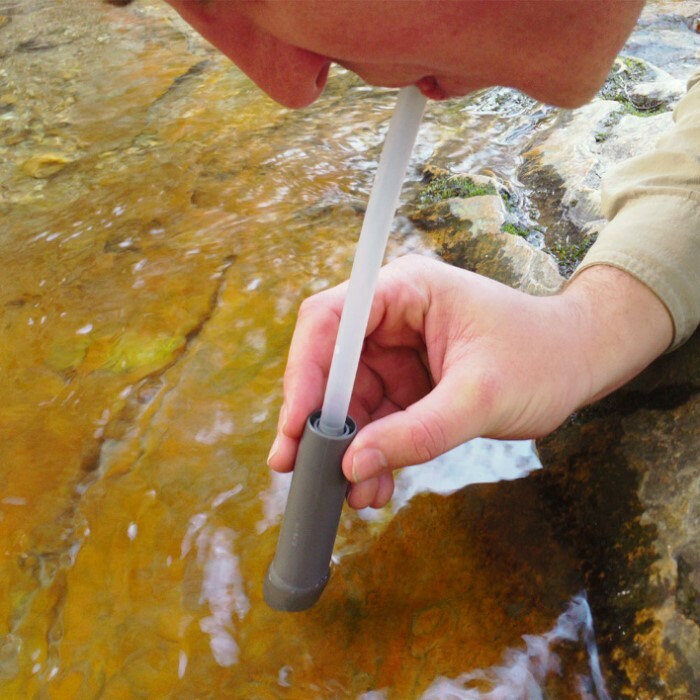 Activated carbon helps reduce waterborne chemicals and improves water taste. Weighs less than 1 oz. and filters up to 20 gallons. Very portable, about the size of your index finger. However, on both (bought two) of the filters, the straws were cracked, so reduced the water flow. Ended up cutting it off to about 2". Filter is great at its job but better off making your own straw somehow.